It's a bird! It's a plane! It's Manigeek + Peru! Wheeeeee!!! Hallo fellow OPI nail nerds! It’s me! 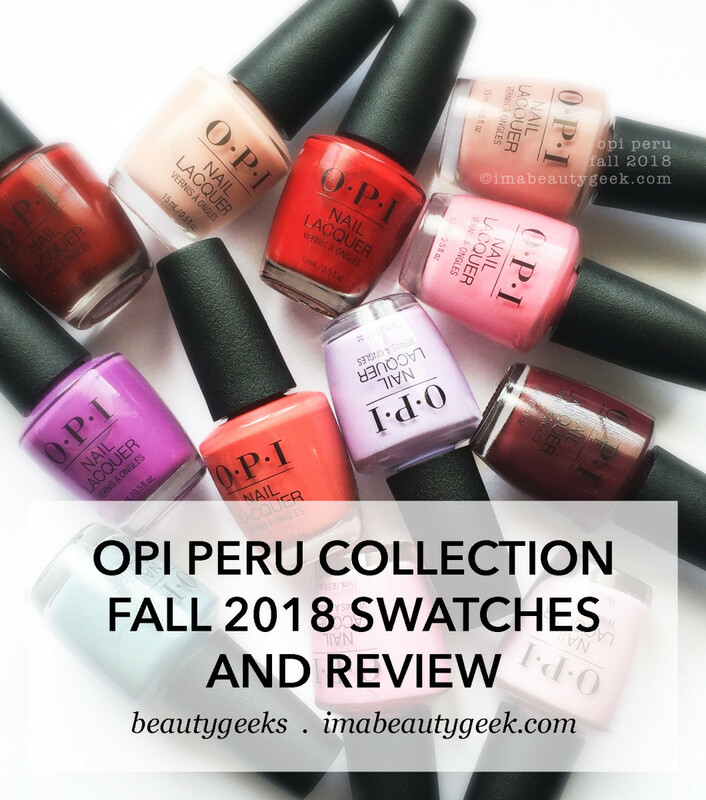 I’m back on your side of the screen with your swatches and review of the OPI Peru Collection for Fall 2018. Yep, they landed on my desk early this week and I’ve been hard at work doing a whole bunch of other things and now I’m here! So, wanna see? Huh? I usually go in some kind of colour order but this time, because so many shades are light and I don’t need to beware of blueticles or lobster hands, I’m showing you these in numerical order. What numericals? Oh, the ones on the labels that go from NL P30 – NL P41. 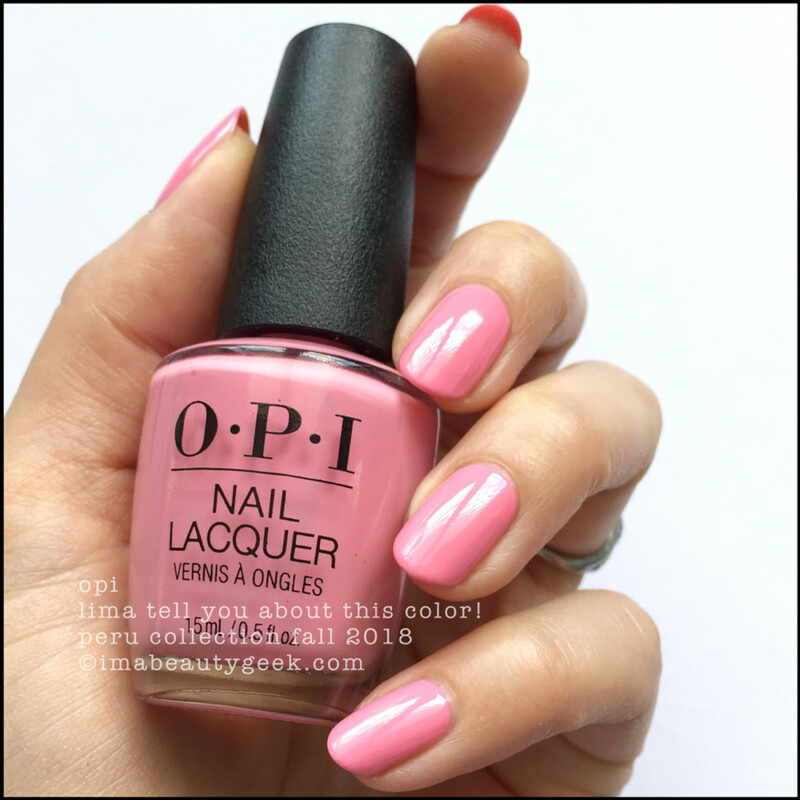 OPI Lima Tell You About This Color! – OPI Peru Fall 2018 (above). This right here is 3 coats. You need to be sure you don’t overload your brush for the first coat. Trust me. The formula is good, it’s just thin. If you paint the way I do, it’s 3 coats to opaque. If you’re determined to do it in 2, you can, but it’s harder to control the blob. Also, she dries down just a tiny bit more saturated than she looks in the bottle. OPI Suzi Will Quenchua Later! 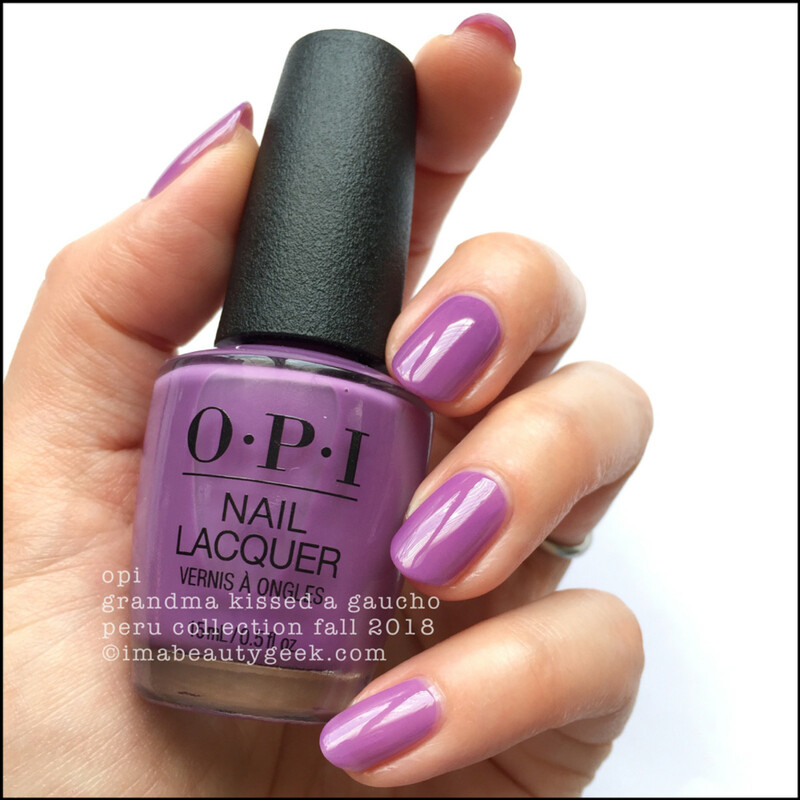 – OPI Peru Fall 2018 (above). Whuut? Only 2 coats? Yep. And I tell ya what, this shade is insanely hard to nail down. Ha! See what I did there? She’s not an in-your-face pink, but she’s got a nice warm shot of dusty lavender in her. She also dries down darker than what you’ll see when you look at da bottle – by a lot. 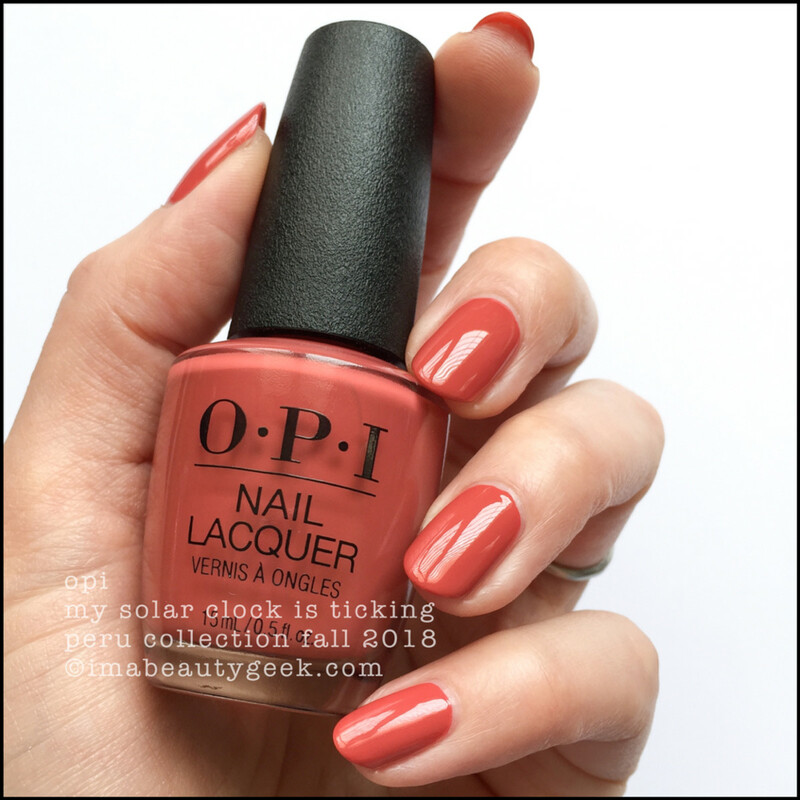 OPI Seven Wonders of OPI – OPI Peru Fall 2018 (above). That’s 2 coats for this absolutely fabulous neutral. I love, love, love it. Right now it’s blazing hot out, but when Autumn rolls around, this is gonna be all kinds of perfect with so many of my sweaters! 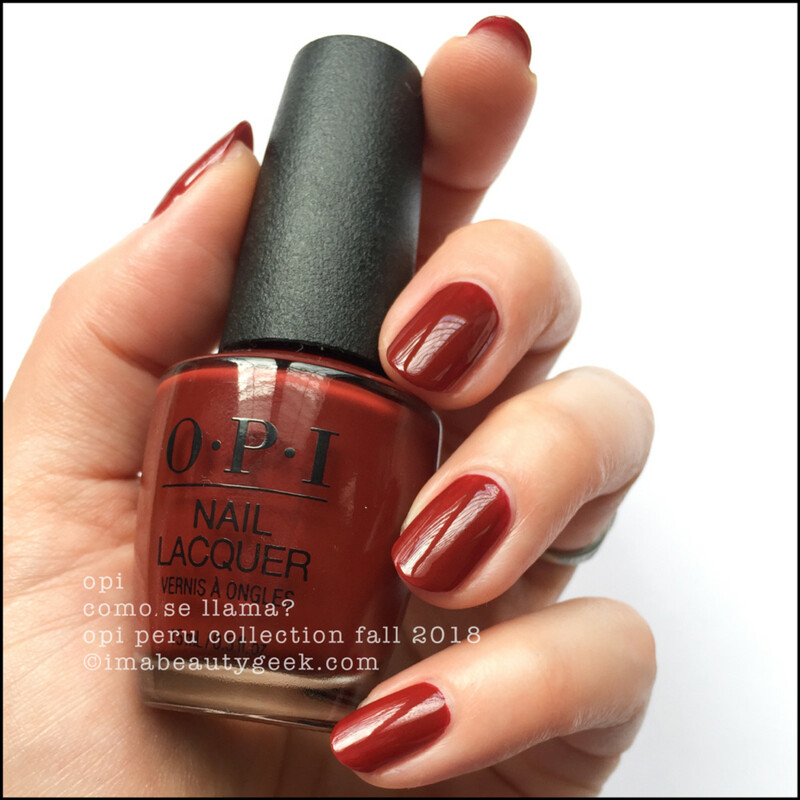 OPI Alpaca My Bags – OPI Peru Fall 2018 (above). That’s 3 coats and the formula is so sweet! Not sweet as in amazia, but sweet like wispy and light. I’ve become so used to those heavily plasticized formulas that I’ve forgotten what it’s like to paint without all the added goo. It’s dreamy, really. And the colour? #GimmeThat. OPI Don’t Toot My Flute – OPI Peru Fall 2018 (above). It’s 2 coats. It’s pretty. It’s springtastical. 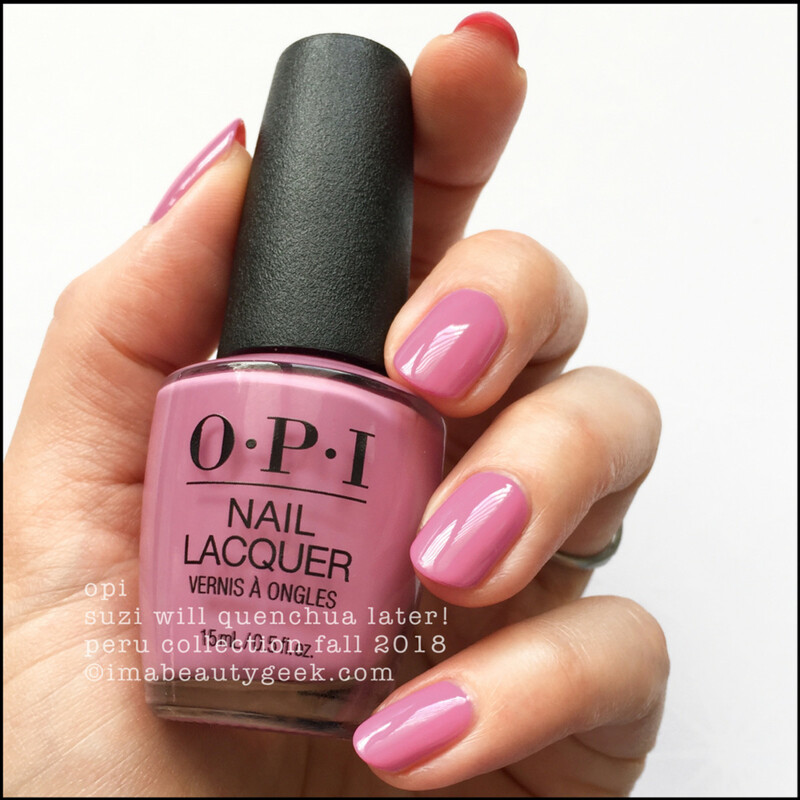 OPI Grandma Kissed A Gaucho – OPI Peru Fall 2018 (above). Boy oh boy, you’re going to see many a swatch where this shows as a vibrant violet. It is 100% not a vibrant violet. Trust me on this, k? It’s a light and airy grape. It’s also 3 coats and even at 3 thin coats, my pinky is all “Hey, check out my nail lines!” I shoulda done 2 regular and the 3rd thicker. Learn from my mistakes. 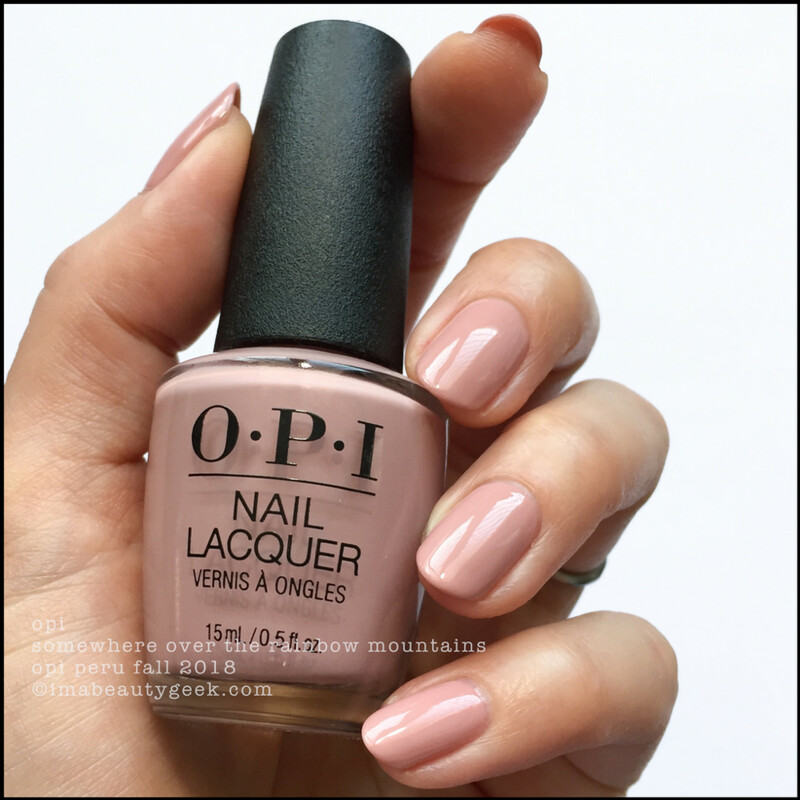 OPI Machu Peach-u – OPI Peru Fall 2018 (above). This one has a tiny bit of the plasticized stuff in it and even though it’s a tad stickier, it’s still 2 coats with an excellent level. 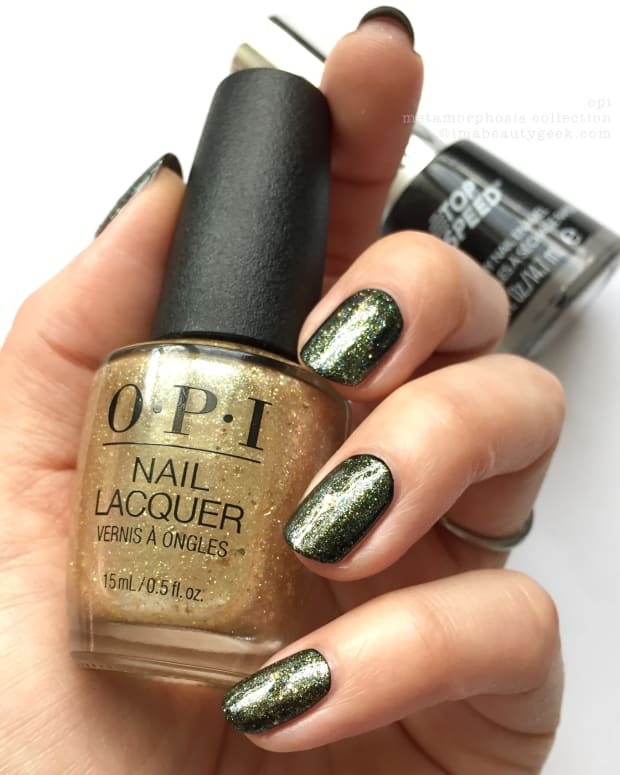 OPI Somewhere Over The Rainbow Mountains – OPI Peru Fall 2018 (above). If you’ve ever seen the Rainbow Mountains (or seen a picture of ‘em), this shade might make you go “whuuuut?” But anyhow, here’s this lovely rosey-mauvey-taupey-beige Rainbow Mountains in a Blender shade that I’d probably never wear just because it’s a wee bit sleepy for me. I sent this image to my friend Bex though. She said “I wannit. I am entering my minimal understated elegance phase.” Yes, it’s the ultimate that. 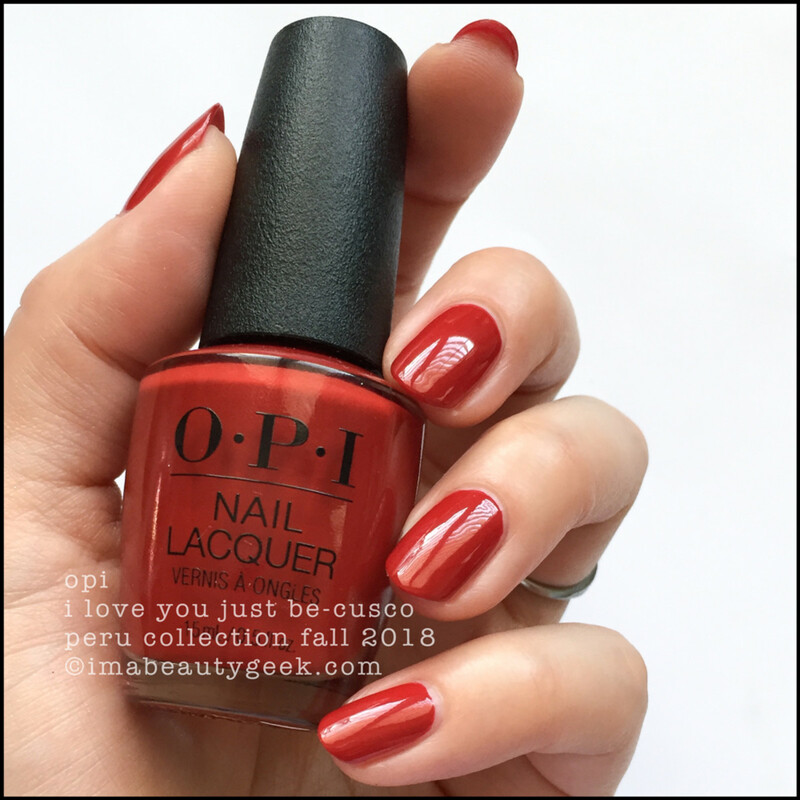 OPI I Love You Just Be-cusco – OPI Peru Fall 2018 (above). Know what? In 2 coats, brick red just doesn’t get any better than this. OPI Como Se Llama? 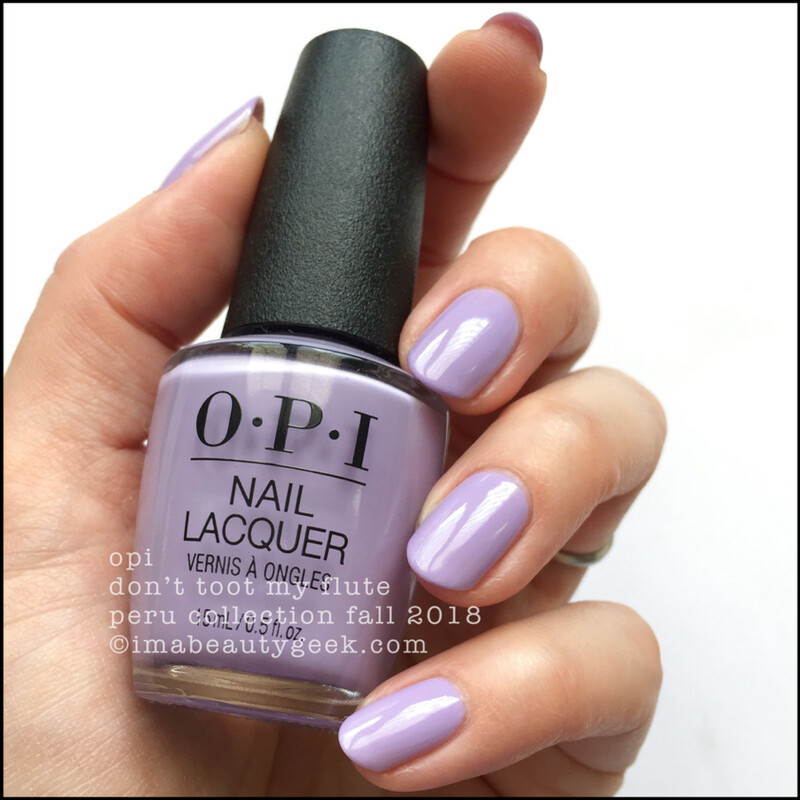 – OPI Peru Fall 2018 (above). And this? Come on! It’s soooo Fall! Not quite red, but not quite brick, I’m gonna call it a rusty oxblood. Oh, 2 coats & shiny as all get out. 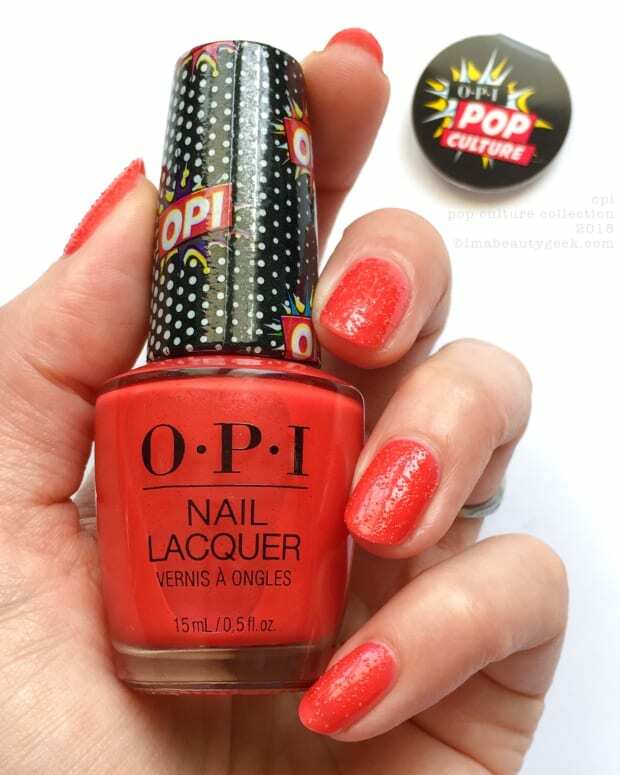 OPI Yes, My Condor Can-do! 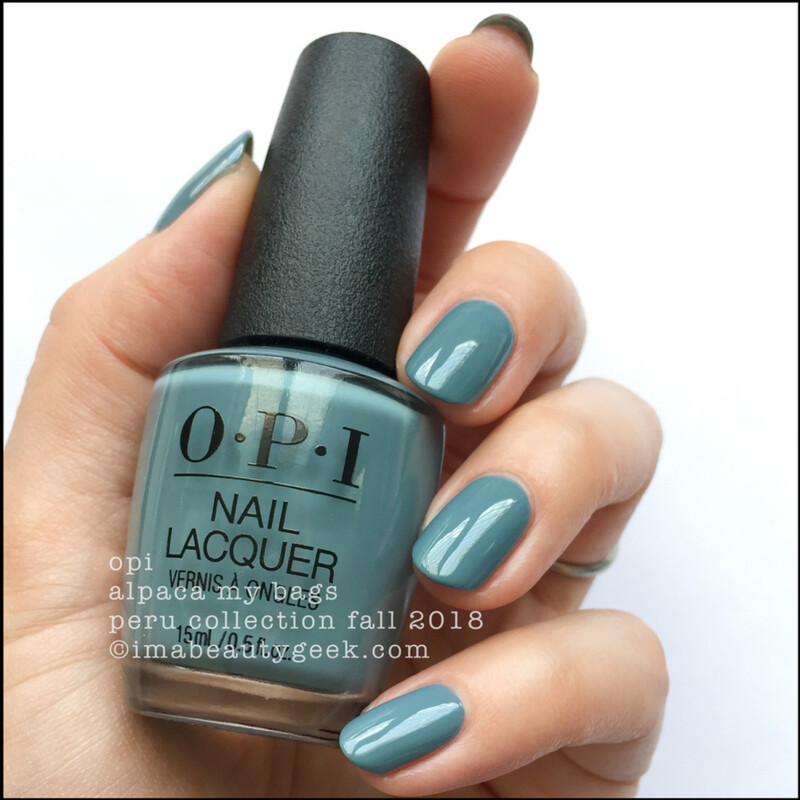 – OPI Peru Fall 2018 (above). And finally, ermahgerd, erhmagerd, ermagerd! Grabby, grabby, grabby hands! I don’t know if I’ll ever get enough of this dusty, dirty, muddy, plummy-brown eggplant. It 100% turns my nail polish crank. So there you have it, errrrybody! 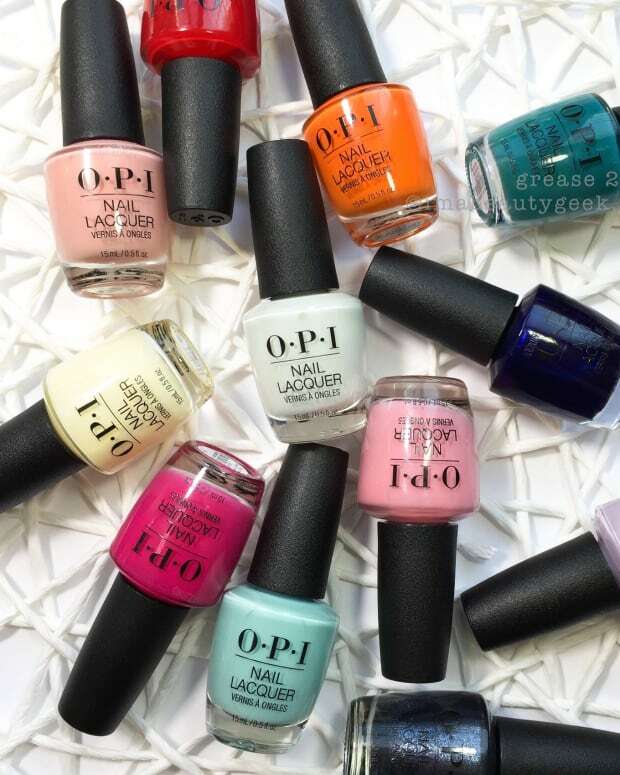 It’s your OPI Fall 2018 Collection and while I think many of us first saw it and thought “Fall? Whuut?”, now that you see it all together (against the backdrop of the Rainbow Mountains), most of it makes sense, right? There are some beautiful, beautiful shades in here that remind me how much I love a little shot of dust for the cooler seasons. Truth? I like. 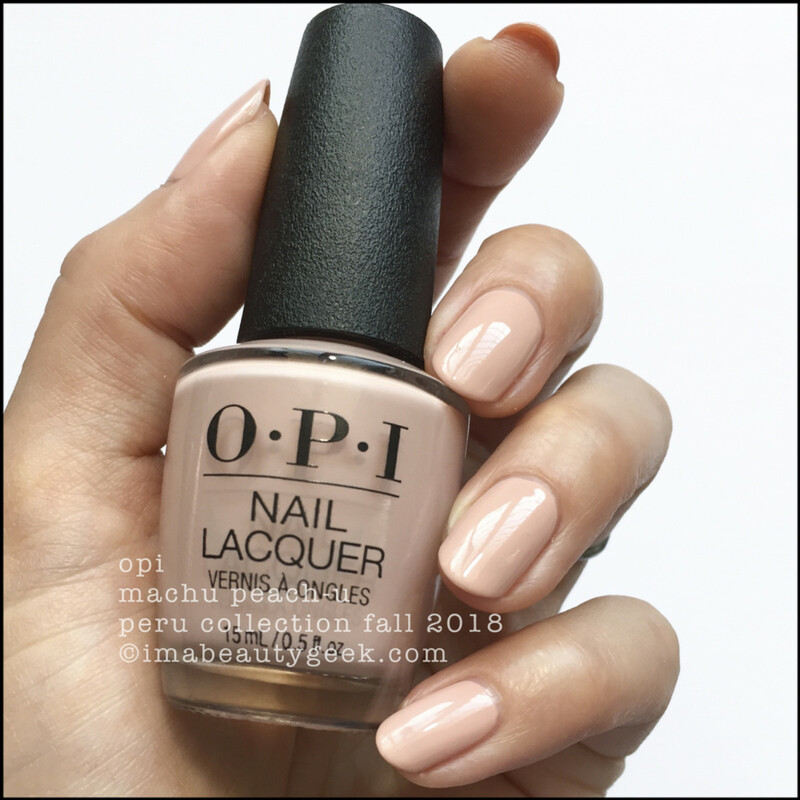 OPI Peru is available online all over the place as of July 1, 2018. If it’s not yet available (in GelColor, regular lacquer, and Infinite Shine) where you are, it will be soon! In , you&apos;ll soon be able to get most of these (in Infinite Shine) at The Bay (in-store and online). They haven&apos;t hit the website yet so keep checking, k? I know you&apos;ll want to get &apos;em as sooooon as you can! Hope you enjoyed your visit, friends! And to all of you out there in Europe, I’ve heard rumors that there’s a Hola browser extension (I&apos;d link you, but I&apos;m too lazy) that let’s you browse like you’re in the US. What does that mean? Hopefully that you’ll be able to comment and we’ll all be able to see it! That’d be sweeeeet!! Manicures & photos by karen falcon (when she swatches after a shower, she thinks her fingers look chubby).